Do you know what to do if you are involved in a traffic crash? It’s one of those things that we all hope we never have to face, but in the event you are involved in a traffic crash, would you know what to do? A traffic crash must be reported to police if anyone has been injured, where a driver is refusing to provide their details, if any of the drivers appear affected by alcohol or drugs or if any of the vehicles involved cannot be driven due to the extent of damage. Did you know minor traffic crashes don’t need to be reported to police? In the event of a minor or non-reportable traffic crash, you may move your vehicle to prevent traffic congestion. You are still required by law to exchange driver details which can be forwarded to your insurance company or used in civil proceedings along with any notes or photographs you have taken. 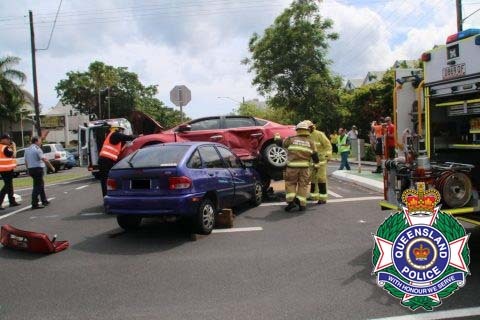 If you do later find you need a police occurrence number for insurance purposes, you can complete an online traffic crash form available at the Policelink website or alternately phone Policelink on 131 444.